Your beautiful event is now over. All the guests have now gone, the decorations have been taken down and all those thank you cards are sent. There’s just one more thing on your to-do list: preserve the outfit. 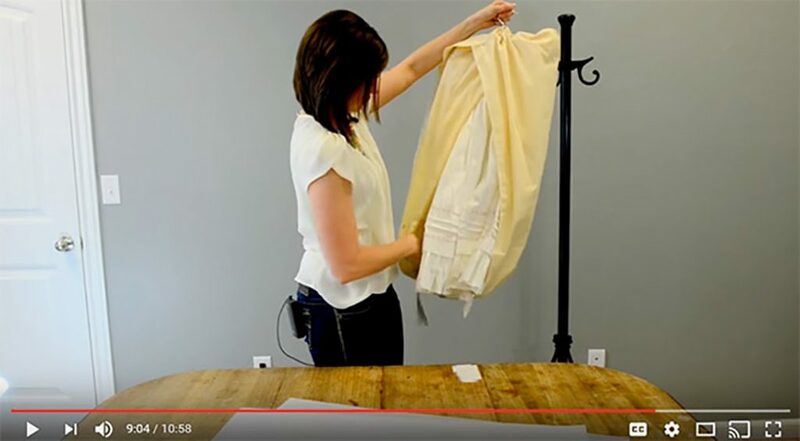 So, what are the best methods of storage for your precious gown? Are there any preservation tips or tricks? How do you keep your gown looking crisp for siblings or generations to come? 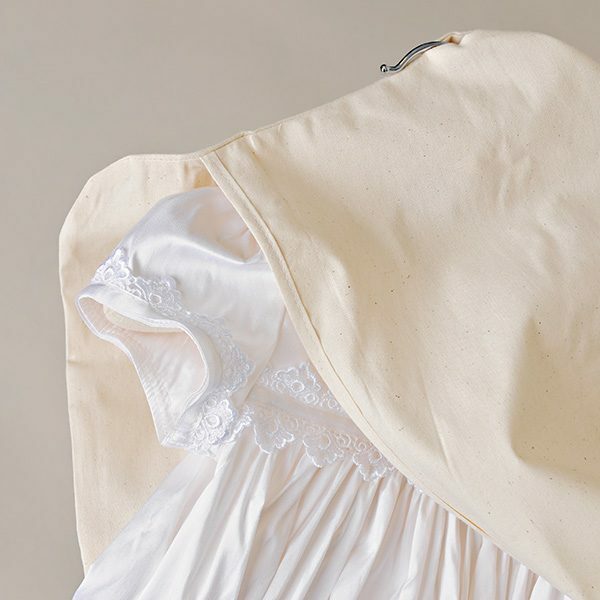 Today, we’ll teach you how to preserve and store your Christening gown or outfit the right way. Throwback Thursday: Customer Photo Contest – Winner! We are happy to announce the winners of our Customer Photo Contest! In mid April, we asked for your photographs – old or new – in any of our product over the years. Our first prize goes to a photo that was selected randomly, and the second prize goes to the photo with the most likes. Each winner will receive a $50.00 shopping code! Thank you to all the participants! It was so fun to see our product on all your beautiful children! I feel like I sound like a broken record sometimes, but really: what is it with time flying by so quickly? It feels like May is already over, and I’m behind the curve! Must be time to get our May Giveaway rolling! To begin, our Parker Bodyshirt just hit the site, and we’re so excited about it! You know how impossible it is to keep a little boy’s shirt tucked? This little short-sleeved white shirt with all the convenience of a bodysuit makes it easy for your tyke to move all he wants without any flyaway shirttails! Great for wearing with any pair of pants, dress it up or down…it becomes a very versatile wardrobe staple. For our May Giveaway, we’re giving away one of these shirts along with a $25 shopping code to One Small Child. Obviously this sweet little item is all-boy, so if you happen to have a girl, we’re offering you the option of our adorable Lace Cami Slip with the $25 shopping code. So, you’ve filled a Pinterest pin board with Christening ideas, sent invitations, booked the venue, planned the after-party and packed for the Christening. The big day finally arrives, and you’re preparing to head out to the church. You’re ready, the diaper bag is stocked and you just got baby all dressed up in her gorgeous Christening outfit. Then you realize something. You have no idea how you’re going to fit that big, beautiful gown (with her in it) into the car-seat. And how are you going to keep his freshly-pressed romper from wrinkling where the seatbelt is? … Now what? We’ve been there. We’ve found that the best solution is to dress Baby after you arrive at the Church if at all possible. Put him in a comfy onesie or one-piece pajamas for the drive-especially if it’s a lengthy one. Leave the socks, and headbands off too! (You won’t want to be missing a sock and retrace your steps to find it laying in a dirty gutter!) Since you’ll most likely have to arrive early anyway, it makes sense to dress baby there. Baby will be in their gorgeous outfit for less time before the ceremony, which means blow-outs or spit-ups are less likely to soil it before its big debut. Give yourself plenty of time for a fresh diaper change before dressing. The more you can take your time, the more you’ll be able to talk and play with baby-so he’s sure to show his best smile for all your guests. If there’s no way you can dress the baby at the site, purchase an outfit that will fit in the car seat and allow baby to be fastened in. Choose booties that can be laced on baby’s tiny feet instead of just socks that are likely to slip off in transit. Splurge on a matching bib that you can remove just before the ceremony so baby’s drool and spit-up won’t soak the outfit before it even begins. 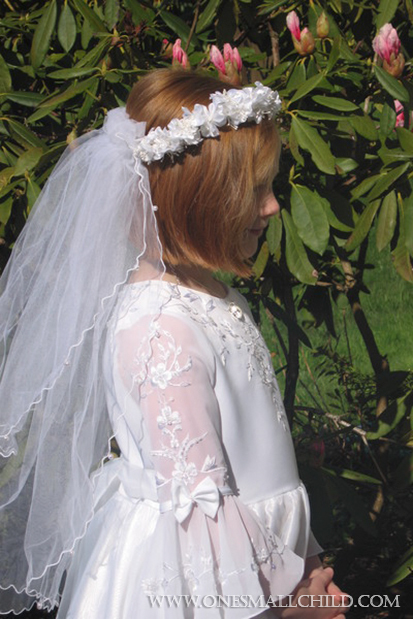 After we arrived at the church on my daughter’s big day, we realized her headband was nowhere to be found. I was so glad my sister-in-law had a spare white one in her diaper bag for me to borrow. Lesson learned: pack an extra headband and socks! You never know when those things will slip off and be lost forever! Happy Friday! As promised, we’re continuing on with our Meet the Staff series today. We’d like to introduce Marisol! She has been part of the One Small Child family for 8 months. Working in the customer service department, she also makes all our jewelry. Marisol makes any task more enjoyable with her cheerful attitude and friendliness. She has a great work ethic and a very adventurous side! What do you love about your job? The people I work with! They are just the best and the nicest! Who is your fashion icon? I love the Khloe Kardashians style, but if we are keeping it classic I would have to say Audrey Hepburn. What/where do you like to eat? I love going out to eat and trying new things, but nothing beats my momma’s kitchen! What is something spectacular you have done? Give birth to my beautiful little girl Yaneli. Who do you admire? Any person that can keep a positive attitude even when things are not the best. What is one thing you would love to do if you were able to do it? Go sky-diving! It’s on my to-do list. If you were a crayon, what color would you be and why? Black, because it’s just classic! What is your favorite family tradition? Getting together every year and going on a vacation. It’s always crazy but it creates the best memories! What is important to you? Definitely all my loved ones and always trying to maintain a positive outlook on life. In what ways do you feel rich? Absolutely in the way of being blessed everyday to still have all my family along my side but most definitely such a wonderful husband and little girl. What makes you smile? Anything. My mom has always told me that even a grain of sand would keep me entertained lol. How do you re-charge after a long day? At this point in my life there is nothing that will re-charge me more than a power nap. If you could create a holiday, what would it be for and what would you call it? It would be for Shopping! It would just be national Shopaholic Day! Where do you turn for comfort? God, there is nothing better than prayer. What would you like to be famous for? I love doing makeup and hair, as well as styling different outfits! I would love to be famous for my creations on different people. What is your favorite OSC product? I would say the Sophi and the Natalia for the girls, the Anthony and the Brakkin for the boys. Let’s get sentimental. 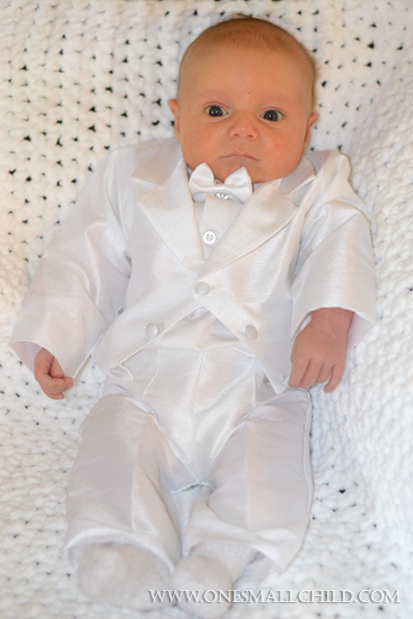 A baby’s Christening or Baptism is his first big event in a lifetime of religious faith. It’s something to be remembered years down the road. Most of us have a trinket or two from different special events that have become a keepsake to us–a prized possession. Our Christening keepsakes have become our treasures as years have passed. Each memento serves as a memory and link to the past; the beginning promise of a wonderful life. These treasures are often shared with our family and close friends, bringing us together with love and memories. These are precious traditions! As parents, we long for our children to have the same special sentiments, the same fond memories and feel the same love. These are some sweet Christening sentiments that can become mementos for baby’s lifetime and even generations to come. Share with us! What sweet Christening traditions do you have? We’re all about making your special events go more smoothly! When planning a Christening or Baptism, you’ve got a lot on your plate! Between scheduling venues and officiators for the event to food and decorations for the after-party (not to mention catering to your out-of town guests!) we know you’re starting to feel the stress! Among everything you have to worry about, you have to pack all that you’ll need for your baby’s event. The last thing you want is to forget something at home and have to make a flying trip to get it — or worse, go without it. Let us help! 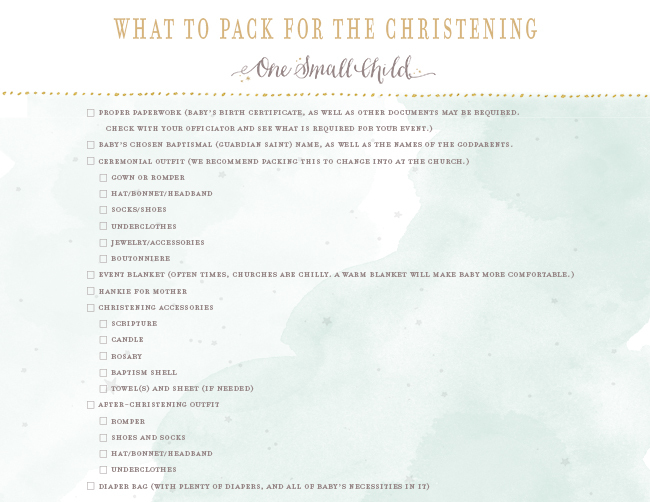 We’ve come up with a free printable checklist of what to pack for a Christening. You can pack up baby’s things with confidence that you’ve got everything. Or better yet, assign someone else to pack! 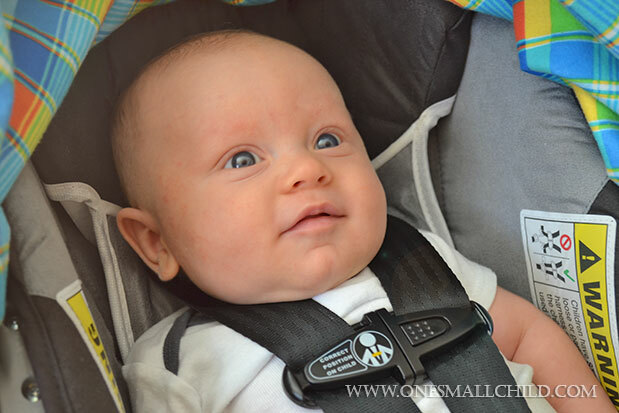 With one less thing to worry about, you’ll have time to enjoy your baby, guests, and event! After all, that’s what it’s all about! Did we miss anything? Please share what else you found helpful to have on your Christening or Baptism day! 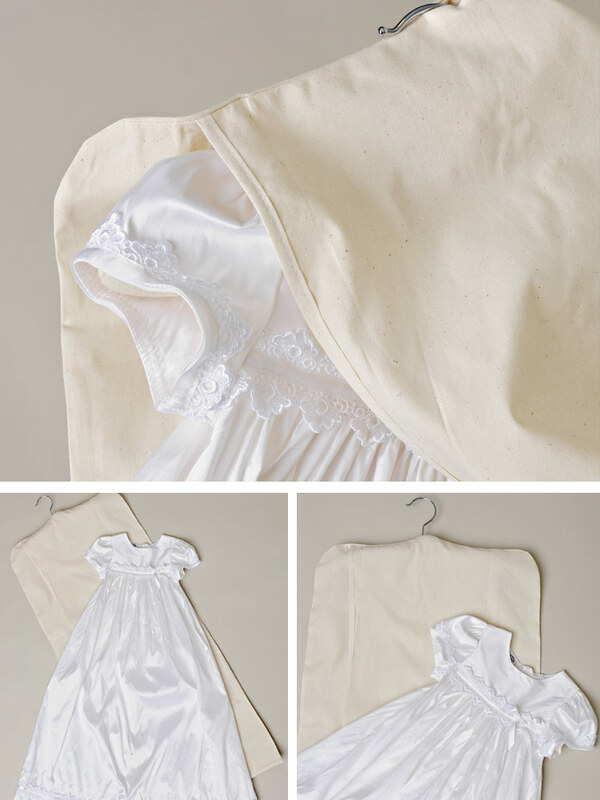 Today we want to introduce two new products: our Boy and Girl Christening Accessory Sets! 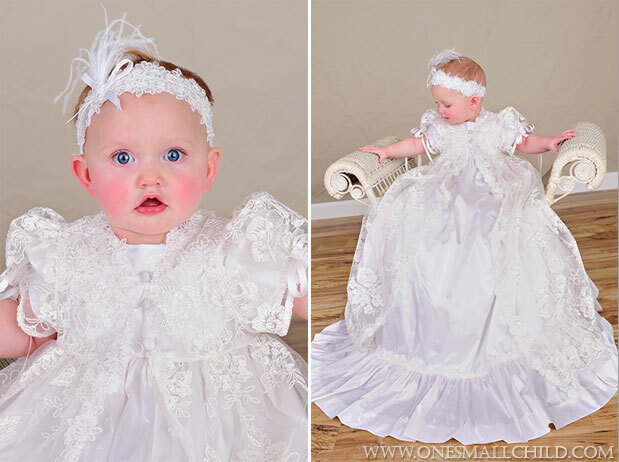 There is so much preparation and planning involved with a baby Christening. Who has time to shop for all those Christening accessories with so much on your to-do list? We’ve got it covered! We’ve gathered our best and most popular products and put them together in a set that includes everything you need. (Isn’t it nice when it’s all there and everything matches!) We love how adorable they are! Each item is quality made with luxurious material, so all your keepsakes will last a lifetime! These convenient sets are sure to give you more time to enjoy your special day. 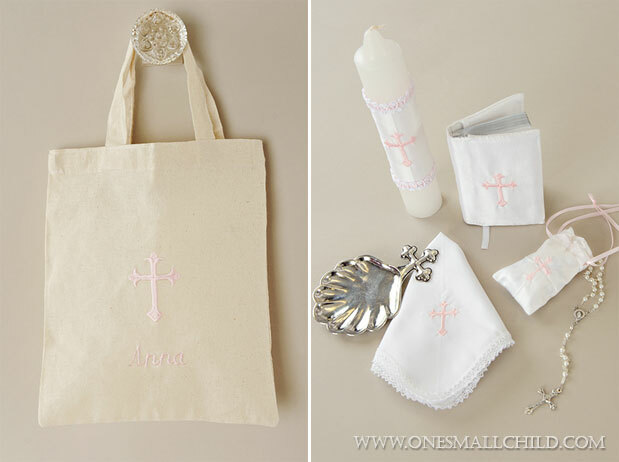 Your Christening Accessory Set includes: a candle with a cross embroidered silk cover; a New Testament with a cross embroidered silk cover; a cross embroidered hankie; a pewter shell; and a rosary with a cross embroidered silk rosary bag-all tucked neatly inside a personalized muslin tote!